q's pop culture panel weighs in on the worthy, contentious, and mind-boggling stories from the week in arts and entertainment. q's pop culture panel weighs in on the worthy, contentious, and mind-boggling stories from the week in arts and entertainment. Opinionated and irreverent, our panel takes pop culture seriously (but not too seriously). 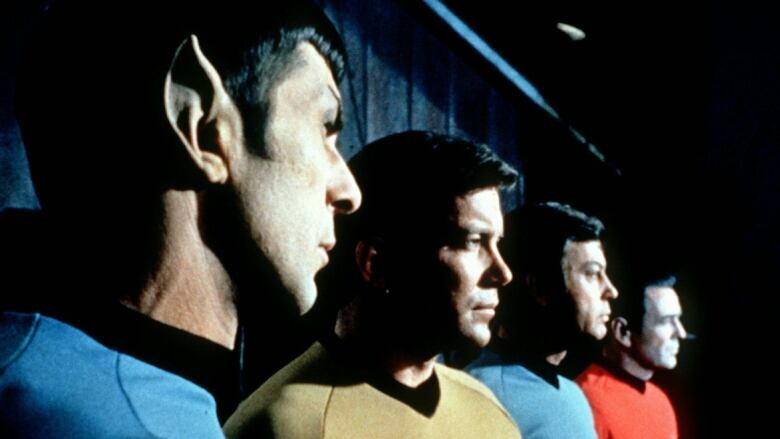 Star Trek turns 50: Star Trek imagined and operated in a utopia. 50 years later and the real world is still rather dystopic. The panel checks in on how the show's legacy has endured. F/X series Atlanta: The Donald Glover-helmed series has been lauded for its balance of comedy and commentary. It's also notable for stacking the writer's room with fresh talent, all of whom are black. Sure, the critics are loving the new series but how's our panel feeling? The end of #Hiddleswift: Oh, how will we go on? Love em or hate em, the vagaries of celebrity couples remain on our newsfeeds. Our panelist dish on their famous OTPs.